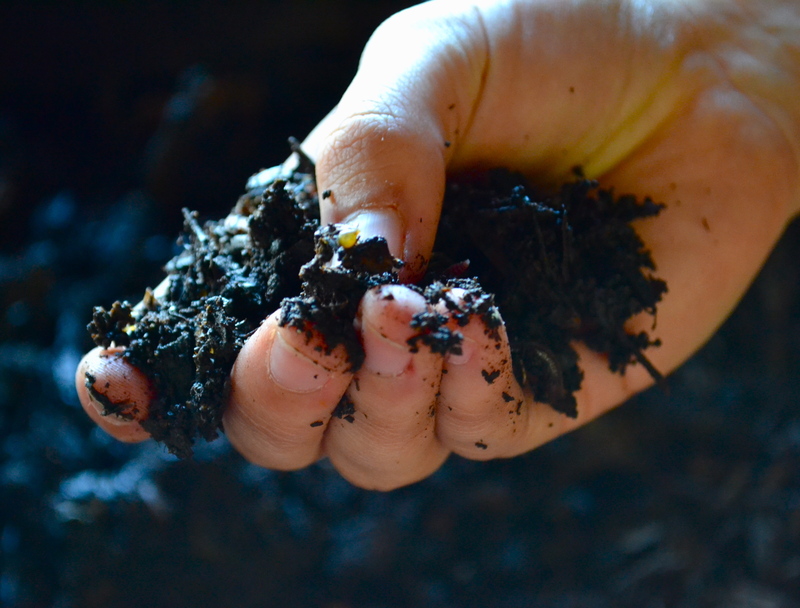 A few blocks from the Sox 35th Red Line El Stop, Kendra Hardy runs her fingers through the warm, rich, black soil of a compost bin. 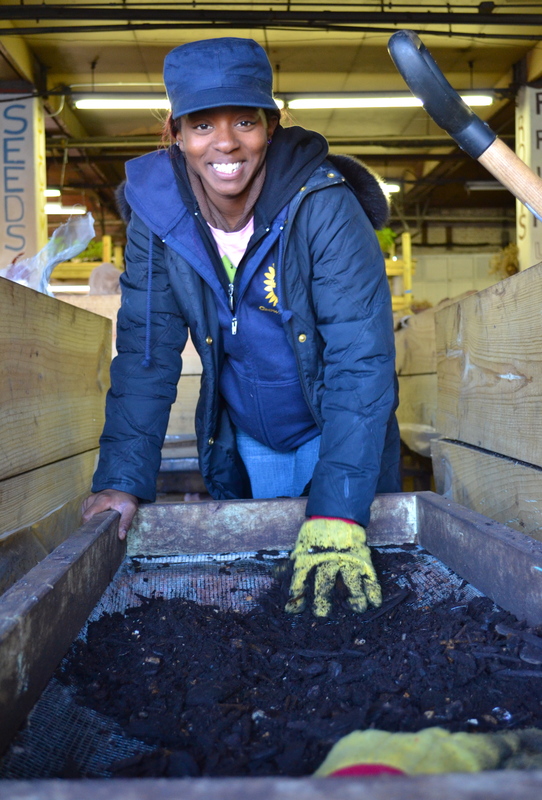 Hardy, 22, is what you could call an urban farmer. Everyday, she wakes with the sun and heads out to work to tend to her crops. Her farm, however, does not house your typical livestock, nor does it cover vast acres of rural countryside. Instead, it is located in an old industrial warehouse on South Iron St. in the heart of Chicago’s South Side. Hardy works for a large nonprofit organization called Growing Power, a corporation that originated in Milwaukee, Wisconsin by former pro-basketball player, Will Allen. Allen, the son of a sharecropper, decided that all people, regardless of their economic circumstances, should have access to fresh, safe, and affordable foods. So, in 1993, after his athletic career had ended, he bought land, and began implementing farming techniques that worked in a city atmosphere. In 2002, Growing Power expanded into Chicago, and other parts of Illinois. Their mission, along with providing nutritious and sustainable food, was also to employ community members like Hardy. By offering hands-on training, on-the-ground demonstration, and technical assistance through the development of these Community Food Systems, urban dwellers not only were given jobs, but also learned to provide for themselves by means of agriculture. Grant Park “Art on the Farm” Urban Agriculture Potager at the intersection of East Congress Parkway and South Columbus Drive. After making sure her worms are well fed, Hardy strolls over to the “hoophouses” in the back of the building. There, she checks on the status of the organic kale and spinach. In order to ensure sustainable food year-round, Growing Power builds large, enclosed structures, similar to greenhouses to grow and house crops. These “hoophouses” essentially trap sunlight, providing a constant, warm climate for vegetables. “It’s not your standard midwestern way of growing corn!” said Erica Hougland, an agro-enthusiast also employed by Growing Power. Hougland, 23, is a well-seasoned community servant. Along with providing technical agriculture training, Growing Power reaches out to the community by way of art. When Iron Street opened its doors in 2010, Chicago residents were asked to paint a mural on the side of the building. Now, youth art classes are offered in the warehouse along with educational tours of the facility. The corporation is inviting a literal “hands-on” approach to their development. Hoophouses inspected, Hardy makes her way through the massive warehouse. She observes the stream of water flowing from the “aquaponics” system, that her Growing Power team built just a few months prior. Although there are no cows on the Iron Street farm…there are fish. 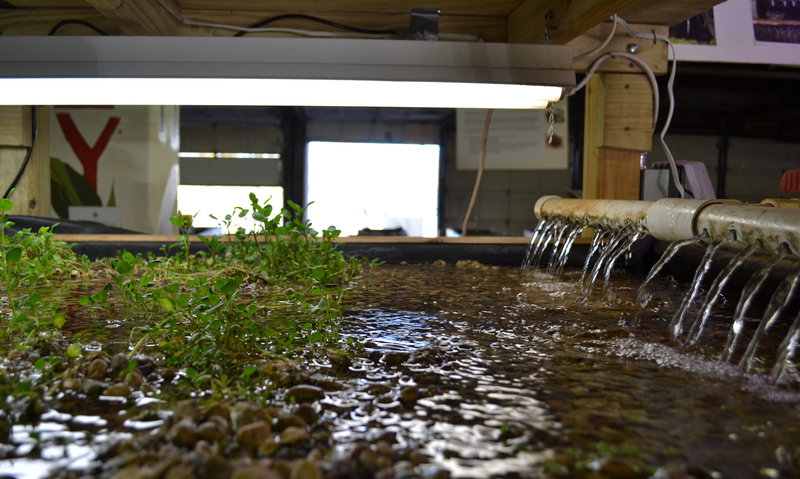 Using an “aquaponic” cycle, water is drained from fish tanks containing tilapia and yellow perch. This water is then filtered, and pumped to growing beds, where a variety of specialty greens are raised. Finally, the nutrient rich water is forced back into the fish tank. Plotting out the future of urban farms, are experts like Adam Davis. A Crop Management and Environmental Systems professor in the Department of Crop Sciences at the University of Illinois, Davis is no stranger to the issue of food crisis in cities. Davis recognizes the need to support urban farms, like Growing Power, as well as provide incentives for city supermarkets to sell fresh and affordable produce. “As the population continues to grow in urban areas, we will have further problems addressing sustainable food options”, he said. As of today, Growing Power is able to operate by using the money it raises from selling its products to local restaurants and community members at nearby farmer’s markets. They also are funded by Illinois state grants. Working in cooperation with organizations such as the Chicago Housing Authority, Growing Power is gaining headway in finding innovative ways to provide food for Chicagoans. Chores done for the day, Hardy scrubs the dirt from beneath her fingernails, then steps out of her old, industrial office on Chicago’s South Iron Street. Not your typical farm scene–but Growing Power is working.